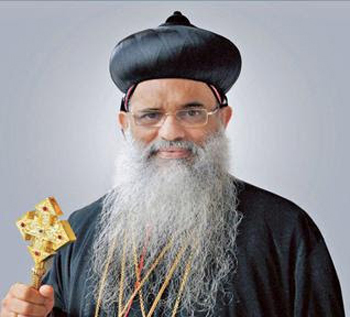 Brahmavar, Dec 01, 2015: The entire Orthodox Syrian community of Brahmavar has geared up to welcome the Catholicos (the Supreme Head, equivalent to the Pope for Roman Catholics) of the Indian (Malankara) Orthodox Syrian Church, Baselios Marthoma Paulose II. The Catholicos will make his maiden historical visit to St. Mary’s Orthodox Syrian Cathedral in Brahmavar and its chapels (also known as ‘Brahmavar Konkani Orthodox Community’) from December 4 to 6. The St. Mary’s Orthodox Syrian Cathedral and its seven chapels are the only unique Konkani-speaking Orthodox community within the jurisdiction of the Indian Orthodox church, and in the entire world. The Brahmavar Konkani Orthodox community and the Indian (Malankara) Orthodox Church have many things in common, especially their history. Both have fostered native or Indian leadership within the Christian church. It was for this reason that the founder of Brahmavar Konkani Orthodox community, late Lamented Alvares Mar Julius Archbishop, brought the community under the communion of the Indian (Malankara) Orthodox Church, in 1889. Catholicos Paulose II is the 91st successor to the apostolic throne of St. Thomas in India. He was enthroned on November 1, 2010. He has taken keen interest in the affairs of the Brahmavar Konkani Orthodox community. The Catholicos will arrive in Udupi on Dec 4, Friday morning and will be welcomed in a procession from Karavali Junction in Udupi to the St Mary’s Orthodox Syrian Cathedral in Brahmavar at 9 a.m. He will participate in a public meet in Brahmavar at 4 p.m. K.J. George, Minister for Bengaluru Development and Town Planning, will inaugurate the meet. The Catholicos will consecrate the newly built St. Gregorios Church at Hullikal in Shivamogga district on December 5. He will be visiting six chapels in Udupi district on the same day. The Catholics will declare the late Alvares Mar Juilus Archbishop and late Fr. R.Z. Noronha (first Vicar General of St Mary’s Orthodox Syrian Cathedral, Brahmavar) as ‘Blessed Saints’ on December 6, the release added.